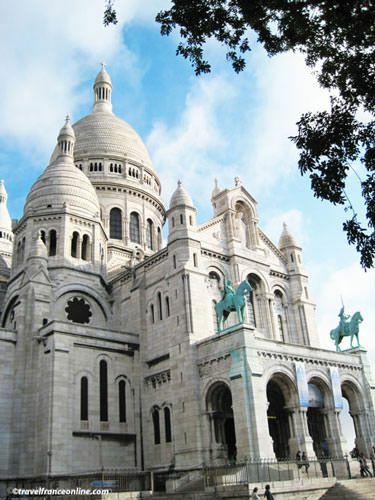 The history of the Sacré-Coeur Basilica is quite unusual. 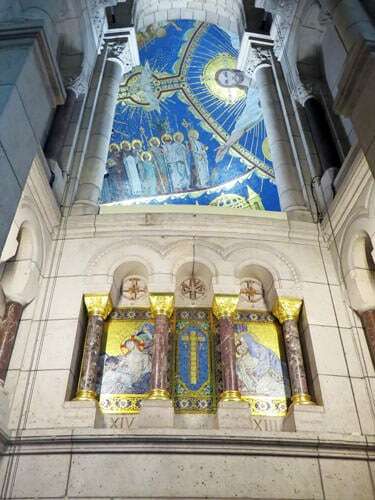 One of the most visited sites of Paris, it is above all an expiatory church! The Franco Prussian War and the Commune de Paris, the civil war it triggered in 1871, were indeed at the origin of its construction. Some politicians of the time indeed suggested the construction of a basilica dedicated to the Sacred Heart of Jesus to erase the memory of these tragic events. 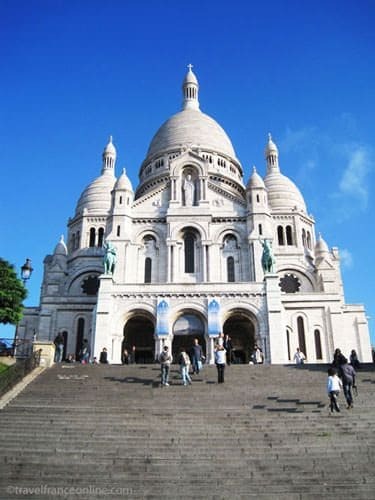 They also suggested that it should stand on the hill of Montmartre, where it could be seen from every Parisian district. In 1873, the National Assembly ruled its construction by decree, and work began in 1875 under the supervision of the architects Paul Abadie, Bossan and Espérandieu. 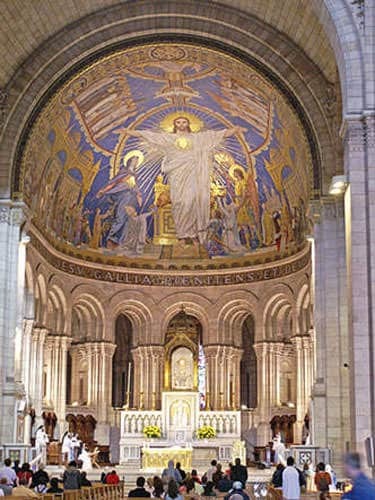 The Sacré-Coeur Basilica was completed in 1912 and consecrated in 1919. The church strikes by its unusual Byzantine architecture, size and unique location. 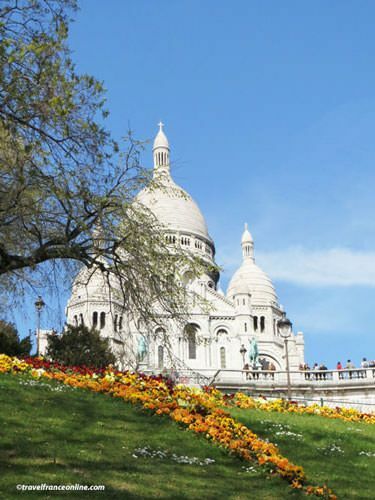 Its imposing white silhouette, cupolas and 80m high central dome topped with an elegant bell tower face the south districts of Paris. One of the bells, La Savoyarde, was cast in Annecy in 1895 and was a gift from the Diocese of Savoie. It weighs 19 tons and is one of the heaviest bells in the world. The basilica’s interior decoration boasts a stunning Virgin Mary with Child (1886) by the sculptor Brunet and superb Byzantine-inspired mosaics. 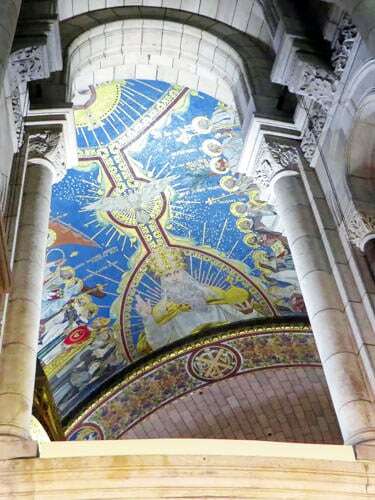 The most impressive, Devotion of France to the Sacred Heart by the painter Luc-Olivier Merson, adorns the vaulted chancel.